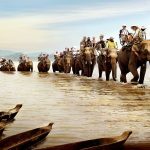 Where to stay overnight in Can Tho? Can Tho is located downstream of the Mekong River and being at the center of the Mekong Delta, 169 km from Ho Chi Minh City. 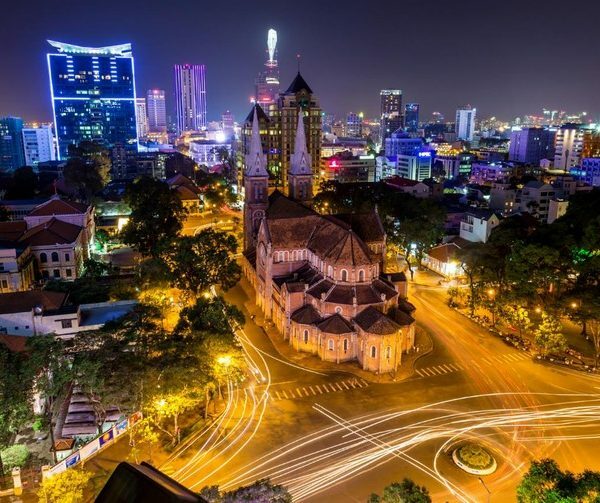 Can Tho is the capital city of the Southwest Vietnam since the French colonial period, and continues to be the economic center of the Mekong Delta. 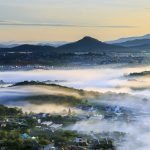 In addition to its geographical features, it is an important hub for transportation between the provinces in the region. 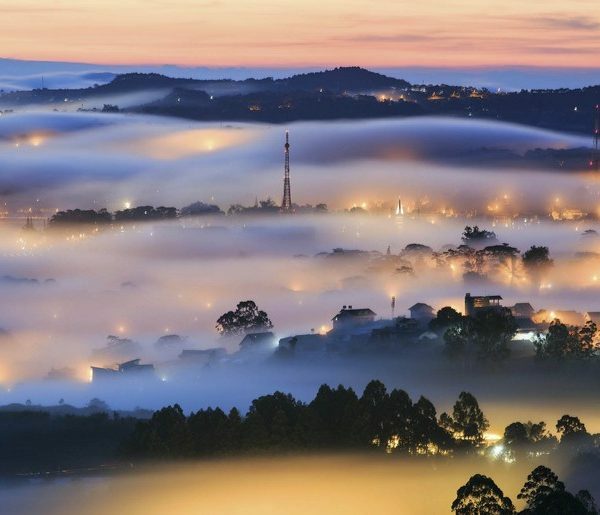 Can Tho City is also known as a watery city. 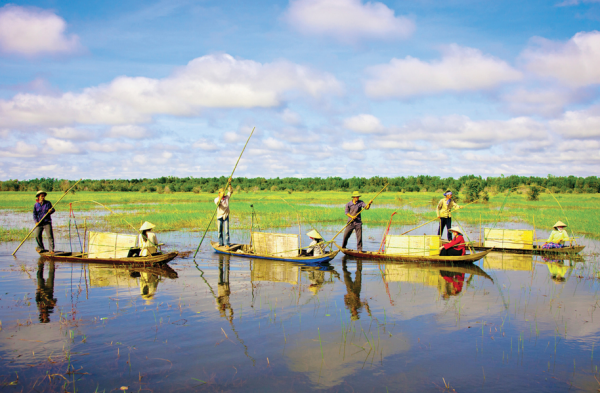 Can Tho has the year round sunny climate and mild weather so visitors can visit this city in all seasons. 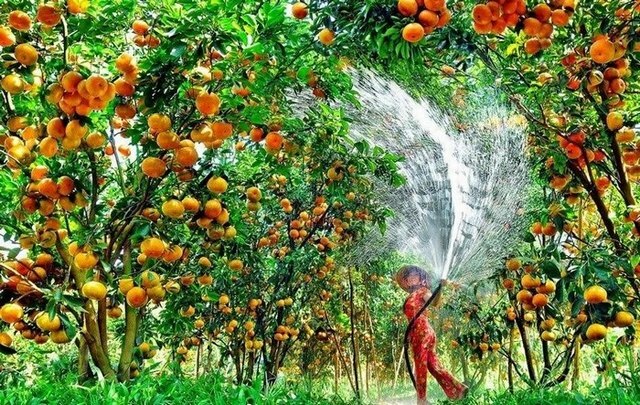 Each season in Can Tho has its own interesting things and different beauty. 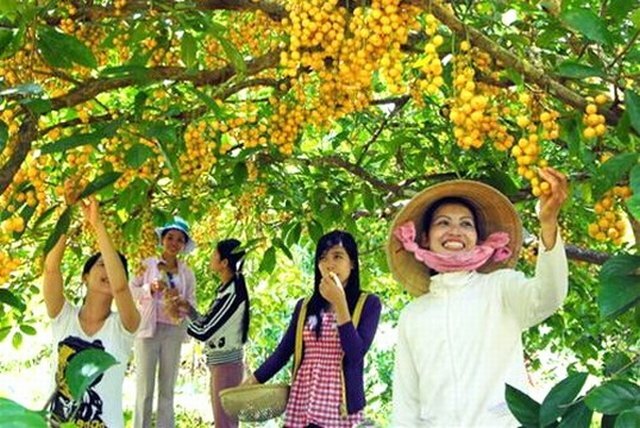 Summer (June, July and August) is the season of ripe fruit in Can Tho, so if you like to explore the fresh fruit gardens you should come here in summer. From September to November is the flood stage, coming to Can Tho this season you will see flooded fields, water is everywhere. From December to January or February is the closest time to the New Year. 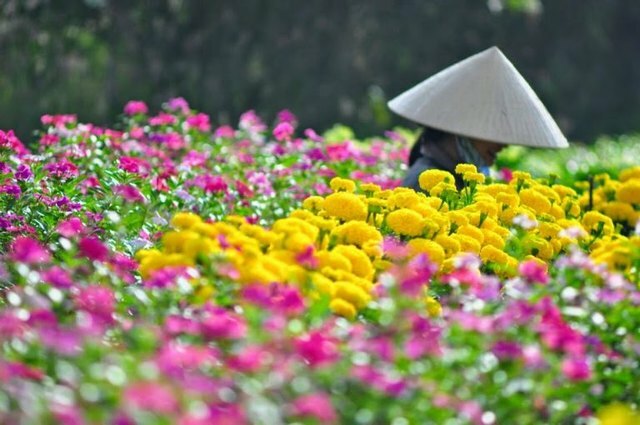 You can come to Can Tho in this occasion to immerse yourself in the brilliant colors of flowers. Station in Sai Gon: 272 De Tham, Dist. 1. Tel: (028) 38375570. Buses depart at Mien Tay bus station from 7:00 am to 10:00 pm. Station in Can Tho: Depart at Nguyen Trai bus station (intersection of Hung Vuong street), having one bus departing every half hour. Ticketing office in Saigon: (028) 39292929. Hotline: 0985 29 29 29. Sai Gon – Can Tho route: 15-seat vans and 45-seat buses are interwoven, departing every 15 minutes daily, serving 24/24. Ticket price from Saigon to Can Tho ranges from 130,000 VND to 140,000 VND per ticket. Saigon: Ticket office in Mien Dong bus station. Tel: (028) 35113113. Branch office: 47 Pham Ngu Lao Street, District 1, tel: (028) 39151818. 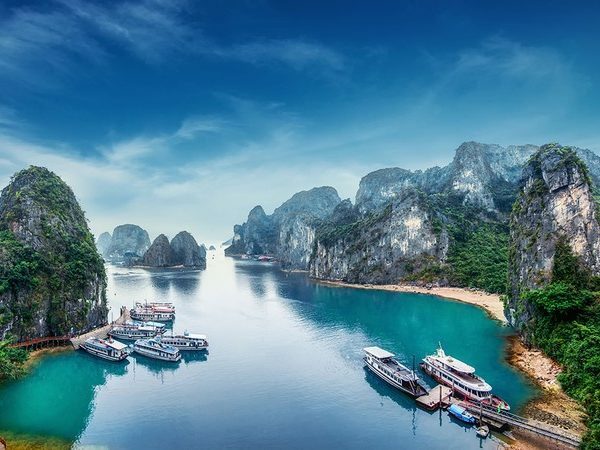 There are 3 airlines operating flights Hanoi – Can Tho are Vietnam Airlines (Prices range from 2.400.000 VND to 4.500.000 VND / round-trip ticket), Vietjet Air (prices range from 1.800.000 VND to 2.700.000 VND /round-trip ticket). In addition, travelers can also hunt for cheap airline tickets to Can Tho of Jetstar Airline. You can choose a motorbike if you depart from Saigon to take initiative in your time and enjoy beautiful scenery along the way. Address: 224, 30/4 Street, Xuan Khanh Ward, Ninh Kieu District, Can Tho. 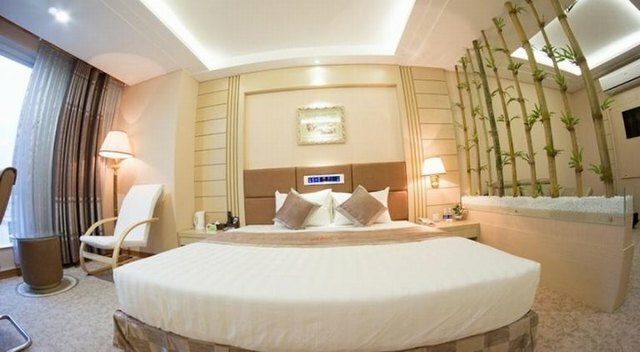 This 4-star hotel is considered as one of the most favorable location for visiting Can Tho city. Iris Hotel Can Tho is an international 4 star hotel. The hotel is a large modern building designed in a modern style with a total of 73 comfortable rooms which are divided into a variety of rooms and can meet the require of different customers. 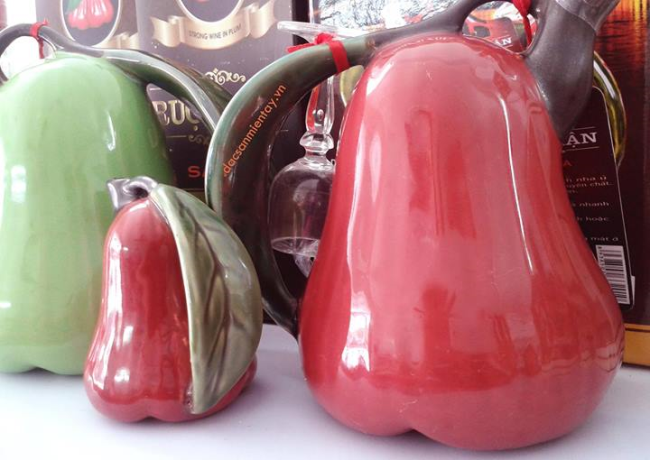 Address: 59-61-63-65 Pham Ngoc Thach Street, Cai Khe Ward, Ninh Kieu District. Holiday One Hotel is 0, 6 km from Can Tho Old Bus Station with less than a 10-minute walk. 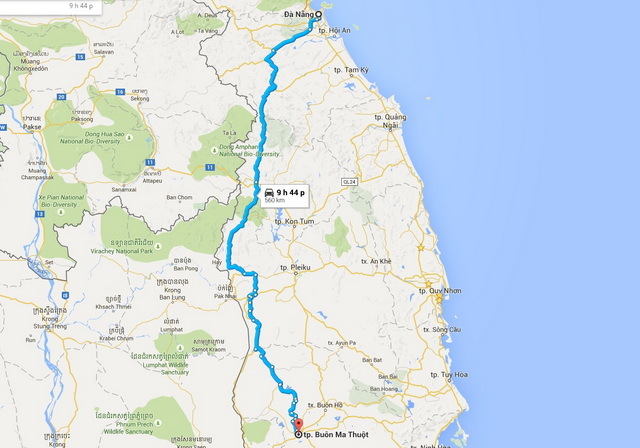 From Can Tho International Airport to the hotel is only about 9 km with a few minutes ride. Holiday One Hotel has 82 airy bedrooms equipped with full facilities such as: 31 inch flat screen TV, air-conditioner, sleep lamp next to the bed creating shimmering and romantic space in the evening… Good, professional and friendly staffs with beautiful uniforms are always willing to help, consult the famous tourist attractions in the city for tourists, hotel has bellman carrying luggage to room for guests. 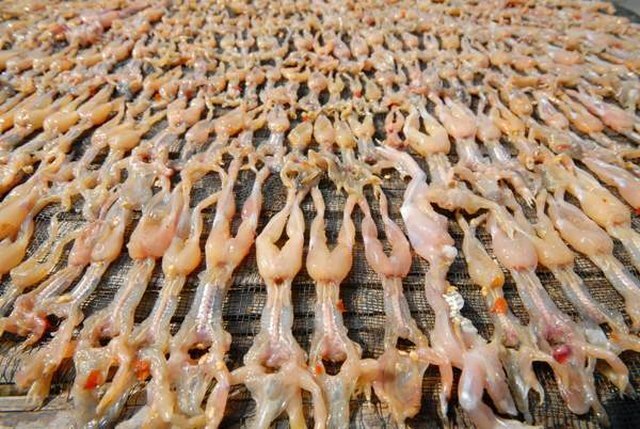 Address: 42 Hai Ba Trung, Tan An Ward, Ninh Kieu District, Ninh Kieu Wharf, Can Tho city, Vietnam. 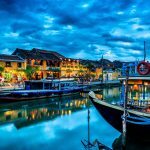 This hotel is located along the river, opposite Ninh Kieu wharf, next to Can Tho Ancient market. 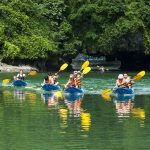 You can easily go to some famous tourist spots in Can Tho such as Can Tho Museum, Water Park, Xang Thoi Lake, etc. 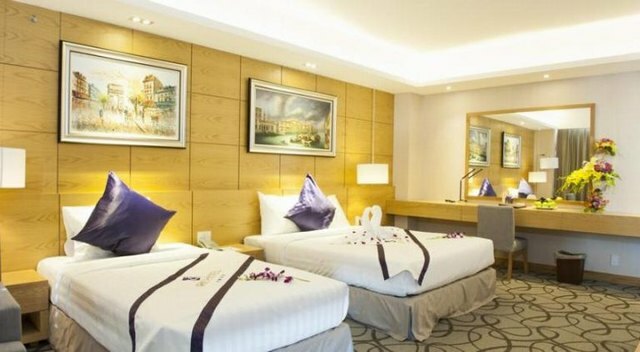 Tay Ho Hotel is the perfect choice for you to travel or business trip in Can Tho. Tay Ho Hotel has Western-style architecture in the early 19th century. This is an old hotel in Can Tho. The two-storey red-roofed building has a large, stretched facade. 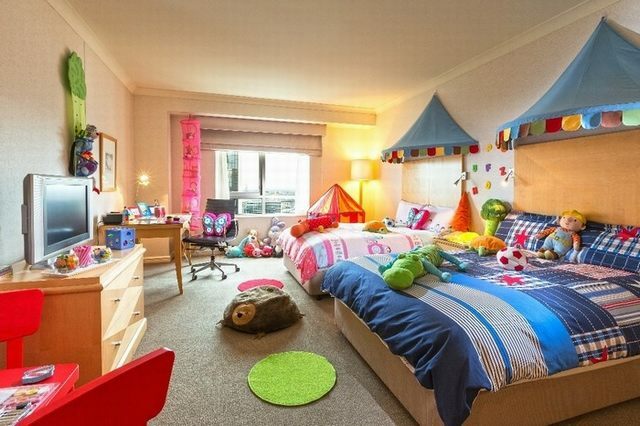 Here, you have both the nostalgic feeling with the characteristic old architecture and comfort in modern facilities. From Ninh Kieu wharf, it is about 30 minutes riding boat to Cai Rang floating market. 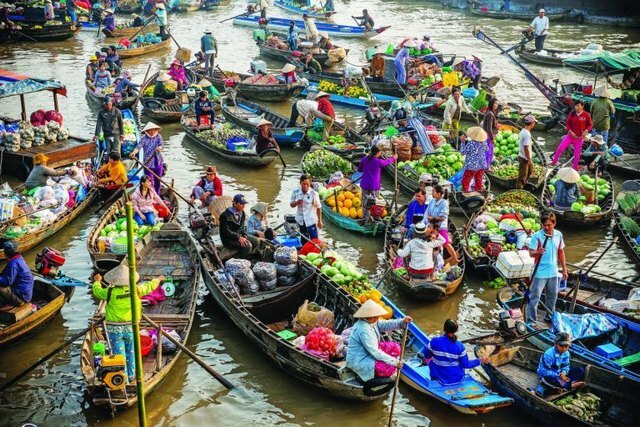 The market open in the early morning from 5:00 am to 9:00 am, the cost of renting boat for sightseeing is from 300,000 VND to 500,000 VND depending on the number of guests. On the Hau River, there are many wherries or boats which have “beo” long stick hung up “advertising products” with the main items such as fruits, agricultural products, food, breakfast dishes… This market became an interesting cultural feature and especially in the Mekong Delta, which attracts a lot of tourists. 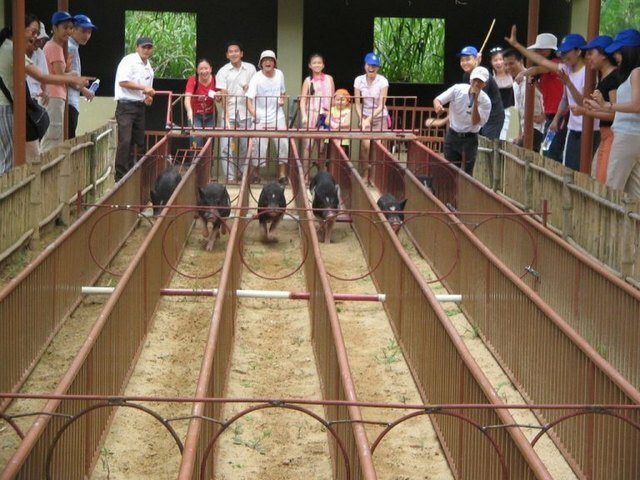 Can Tho has more than 70 ancient houses filled of many cultural and historical values of Vietnam. 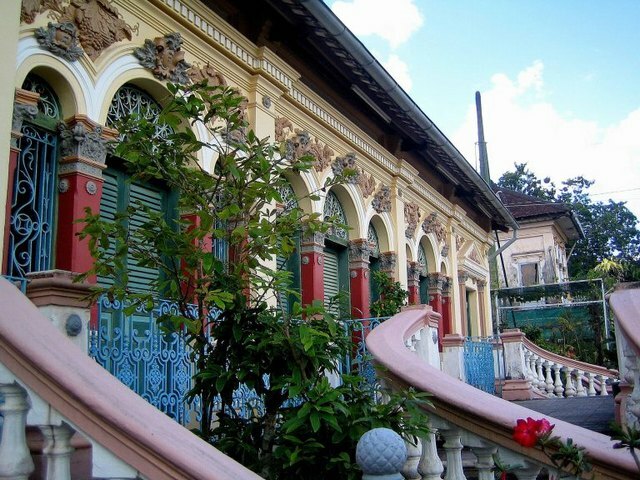 One of them is the ancient house of Binh Thuy – the ancient house of the Duong family was built in 1870 with the modern French architecture. The house is a harmonious combination between Eastern and Western culture creates the classic, traditional and modern beauty. 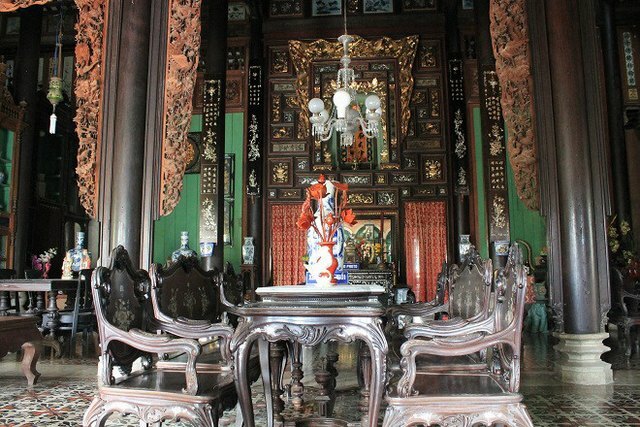 Binh Thuy Ancient House is located on Bui Huu Nghia Street, Binh Thuy Ward, Binh Thuy District, Can Tho City. Bang Lang stork garden is about 60 km from Can Tho city, along Highway 91, passing O Mon district, arrive Thot Not district to Bang Lang bridge, there is a smaller road leading into the Stork garden, tourists can rent motorcycles, bicycles or walk about 2 km to the Stork garden. The good land for bird, Bang Lang stork garden has created a wonderful living space for birds from various regions gather here for living. At this place, visitors will find the rhythm of life in the sound of birds in Bang Lang. 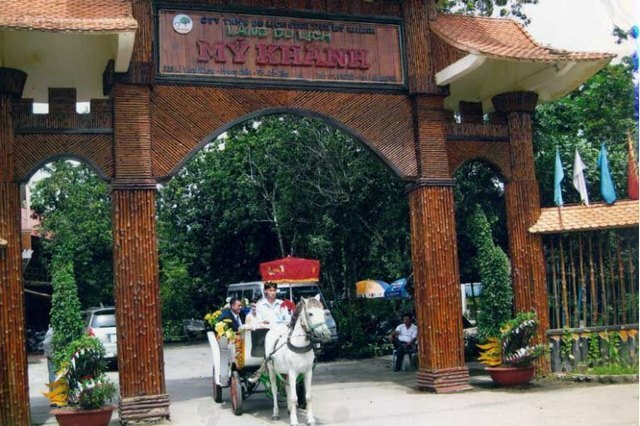 Ninh Kieu wharf now becomes Ninh Kieu Park, located on the banks of the gentle Hau River, along Hai Ba Trung Street, in the center of Can Tho city. 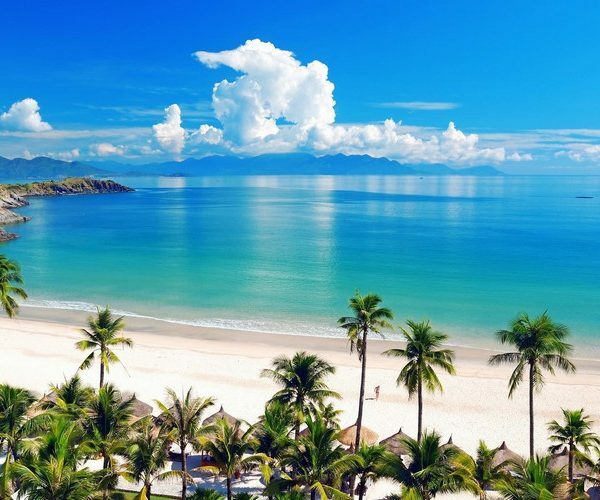 There is the folk phrase “Can Tho has Ninh Kieu wharf, romantic river and beautiful girl”, so that Ninh Kieu wharf became the pride of Tay Do and a tourist destination cannot be ignored when coming to Can Tho. 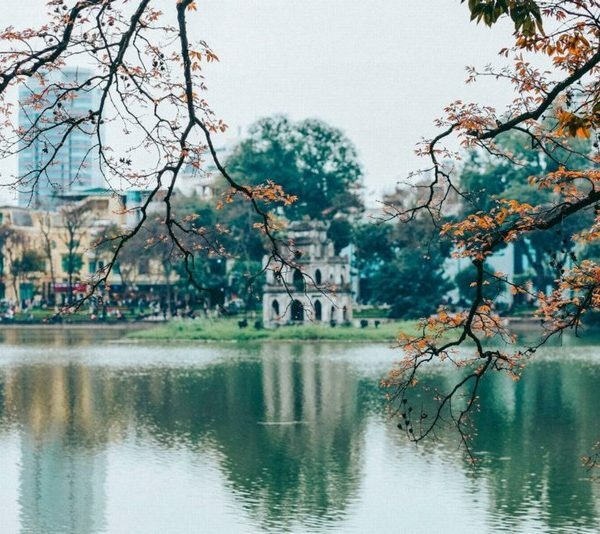 Ninh Kieu Park is large and spacious, inside the park there are many trees and beautiful bonsai, green grass carpet growing between the white concrete and Uncle Ho bronze statue which is 7.2 m high. Around the park are lakeside restaurants, serving a variety of local specialties. 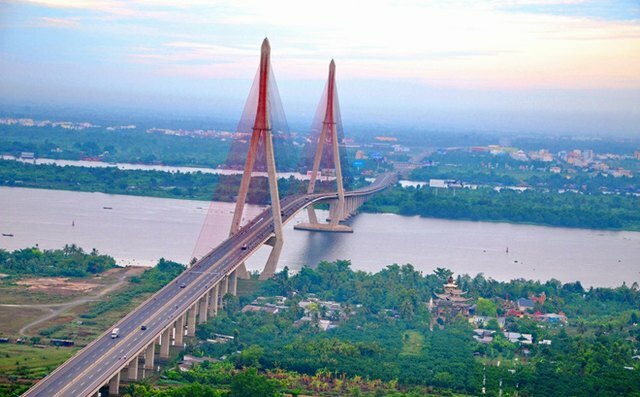 Can Tho bridge is a bridge spanning Hau river 2,750m long, connecting Can Tho city and Vinh Long province. Can Tho Bridge is the longest cable stayed bridge in Southeast Asia (main span is 550m). 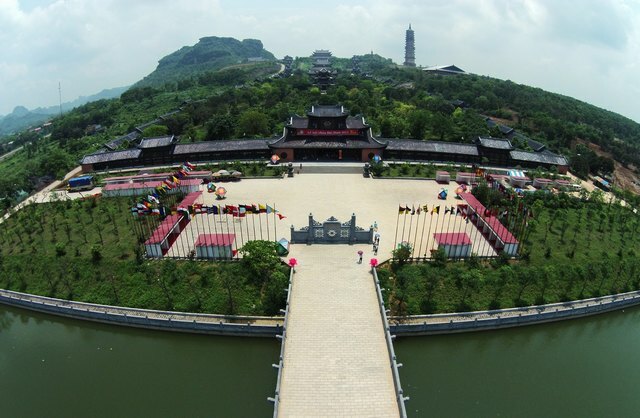 Ong Pagoda is also known as Quang Trieu Hoi Quan, located at No. 32 Hai Ba Trung Street, Ninh Kieu District. As the oldest Buddhist temple in Can Tho, the pagoda was built in architecture style and garish color of the Chinese. 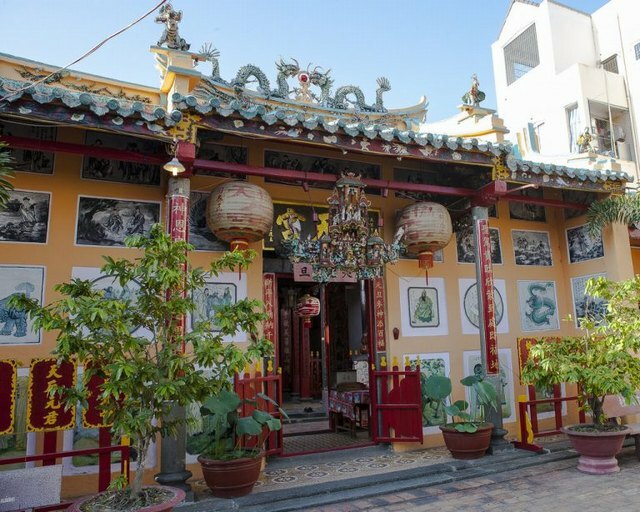 The most typical festival of Ong Pagoda is the Lantern Festival held every 10 years, to create a special cultural activity in the locality, as well as raise money to help charitable institutions, building cemetery or school and help orphans in the city. This is a tourist destination Can Tho which people should visit. 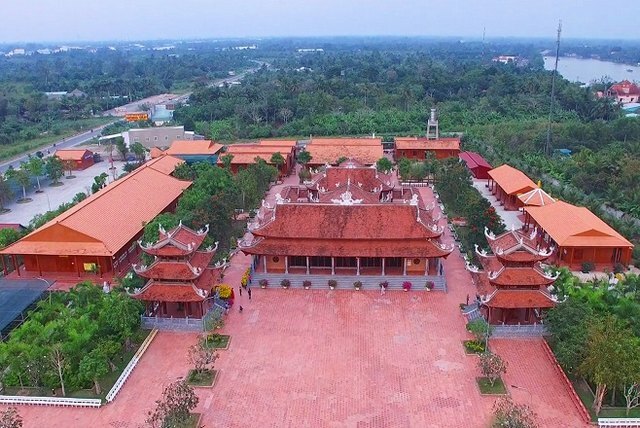 This place is considered as the largest Zen Monastery in the Mekong Delta under the Ly – Tran dynasty Buddhist architecture style; Truc Lam Phuong Nam Zen Monastery is located in My Khanh commune (near My Khanh tourist village). Truc Lam Phuong Nam Zen Monastery is located in the historic archaeological site of Lo Vong Cung belongs to Can Tho City. The total area of Truc Lam Phuong Nam is over 38,000 m2. Tay Do Night Market is located about 1 km west of Can Tho city center, in Can Tho International Exhibition Fair. 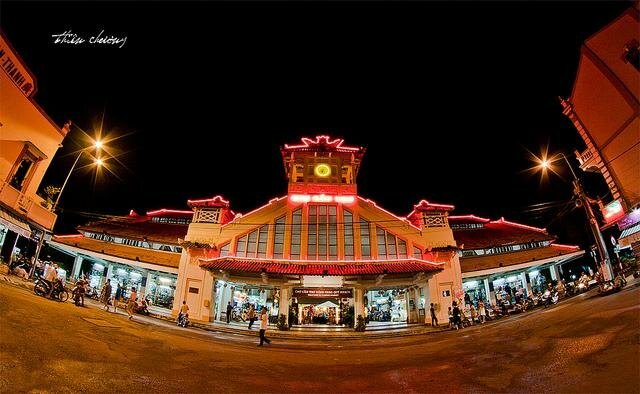 Night market attracts crowds of visitors by the market bearing the vivid typical features of a busy area, mixed with romantic scence of Ninh Kieu wharf and airy space of Hau River; always remain in the rustic simplicity of the Southwest’s people. This is a new place just appeared in few last year, but the Love Bridge in Ninh Kieu wharf connects Cai Khe Islet attracts many visitors from everywhere come to admire and visit. The pedestrian bridge has quite nice position when it is located between the junctions of Hau River. Standing on the bridge, you can look quite clearly Can Tho Bridge, Au islet and almost panorama of Ninh Kieu wharf. 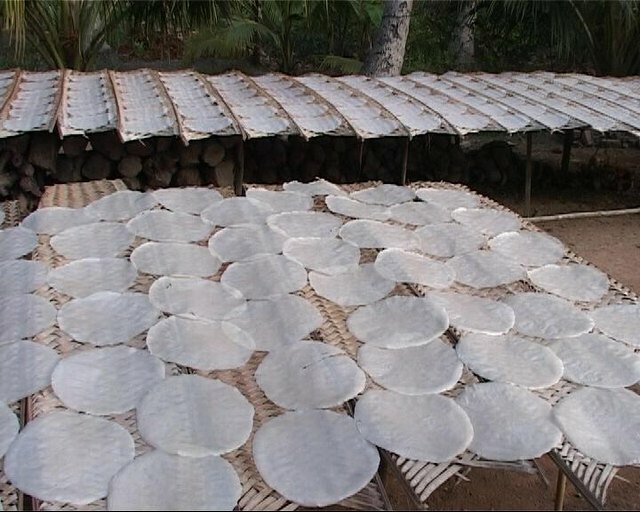 Travelling to Can Tho, you remember to enjoy the national famous brand – Mrs. Muoi Xiem Vietnamese crepes. 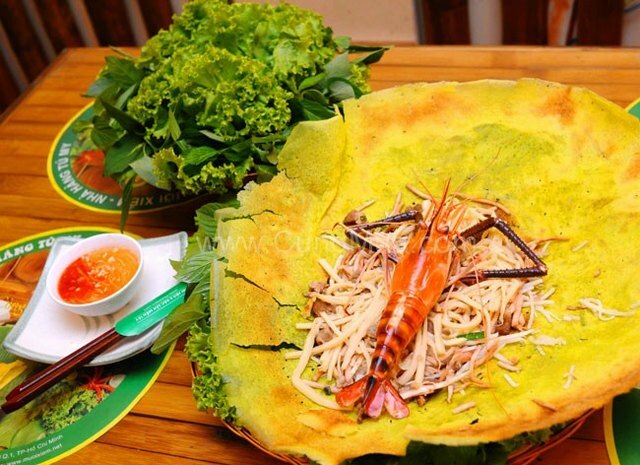 From Can Tho city center, you go to Tra Noc, where has the famous restaurant of Mrs. Muoi Xiem. Raw materials for making Vietnamese crepes are rice flour mixed with coconut milk, turmeric, shrimp, meat … Vietnamese crepes are rolled in rice paper with vegetables (spicy green cabbage, lettuce, shiso, basil, fish mint, sliced green banana, thin sliced ​​star fruit…) Depending on the taste, Vietnamese crepes can dipped in fish sauce or chili sauce. Address: 13/3, 917 street, Tra Noc ward, Binh Thuy district, Can Tho city. 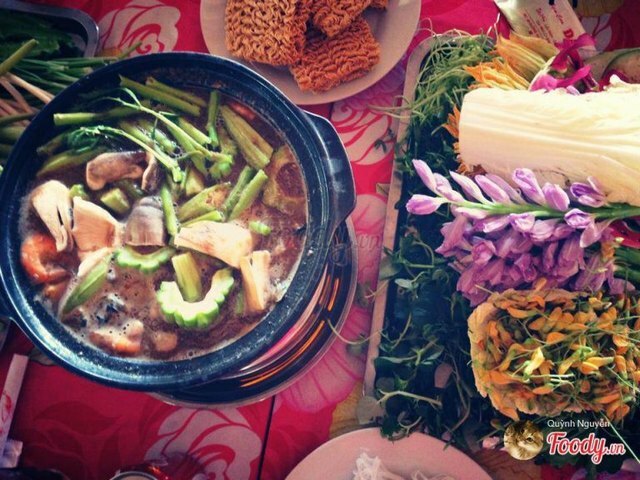 Da Ly fish sauce hot pot is popular by knowing how to adjust the smell and taste according to each type of guests. A delicious Fish Sauce Hot Pot partly depends on the origin of the fish sauce, mixing way, and thanks to the variety kinds of vegetables. 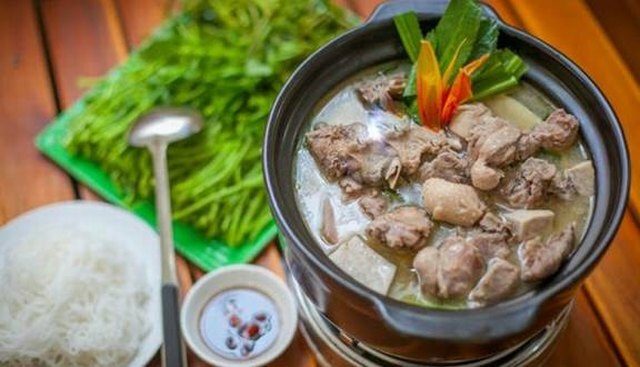 Coming to Can Tho, you should not miss enjoying duck with fermented bean curd hot pot – a featured dish of the Southwest Vietnam, but the best place for this food is Can Tho. Duck with fermented bean curd hot pot is sold along alleyway on Ly Tu Trong Street, An Phu Ward, Ninh Kieu District, Can Tho City with many eateries which are full of motorbikes in the afternoon. This dish is not a premium food, but a favorite dish with most people. A hot pot of duck cooked with fermented bean curd goes along with rice noodle or noodles and vegetables will be the wonderful thing to enjoy with relatives or friends in a cool afternoon. Address: Kim Lien eatery, Thanh Giao alley 1, Ly Tu Trong Street, Can Tho. Grilled meat roll is made with finely grinned lean pork, add sliced fat, garlic, sugar, salt… and make it in the roll like a sausage. The seller skewers or clamps the meat balls on bamboo sticks and grill on a charcoal grate, fat is burned making good smell. 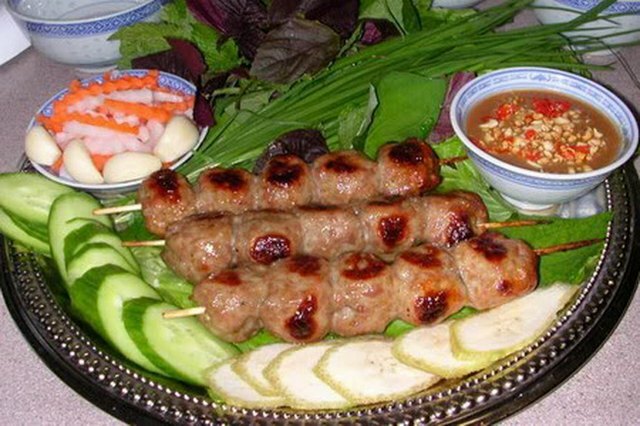 Address: Thanh Van grilled meat roll shop, 17 Hoa Binh Avenue, Can Tho. Spicy taste of pepper and sweet fatty taste of meat snails have made up the typical flavor of this Tay Do dish. Grilled snails with pepper are eaten in the right way: get both soup and snail meat. 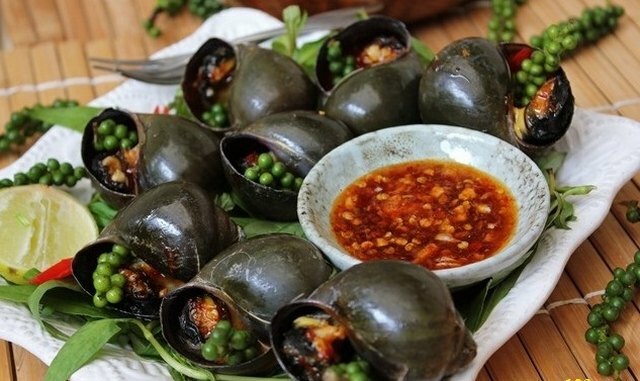 The salty and spicy taste of snail soup makes the dish more attractive and strange. 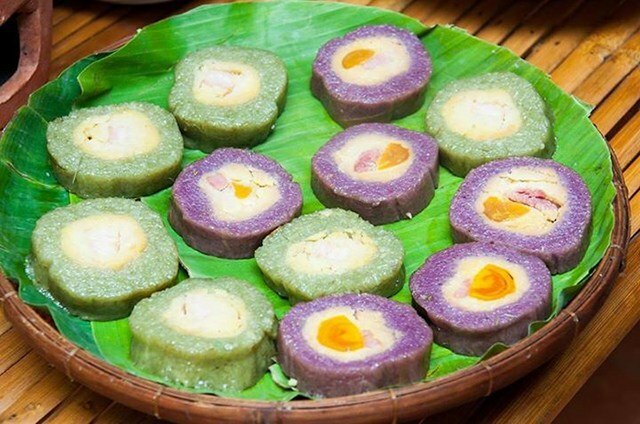 You can find this dish in any restaurant in Can Tho. When visiting the floating market or Can Tho river tours, visitors need to pay attention to the choice of good boat, equipped with life jackets. 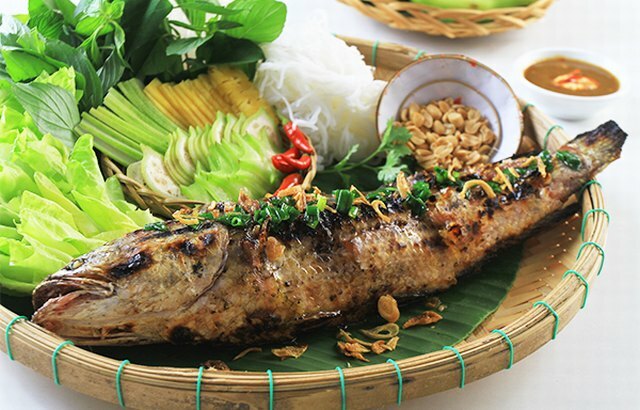 Tourists should take a boat trip on Can Tho River in the evening to hear Don Ca Tai Tu – a form of folk musical theater from southern Vietnam which is rich in the culture of national identity; you also enjoy some specialties of Can Tho. In our experience, you can travel Can Tho in about 2 days to 2.5 days will be fine. On the first day, you can explore Can Tho city and surrounding areas, going to Cai Rang floating market or Phong Dien garden. 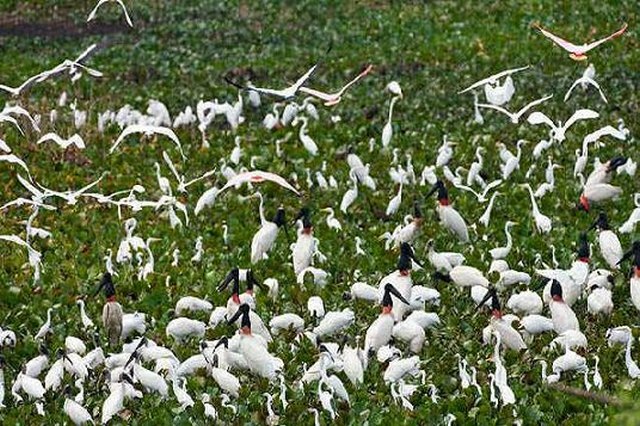 On the second day, you can visit Bang Lang Stork Sanctuary and other tourist attractions which are quite far from Can Tho City. 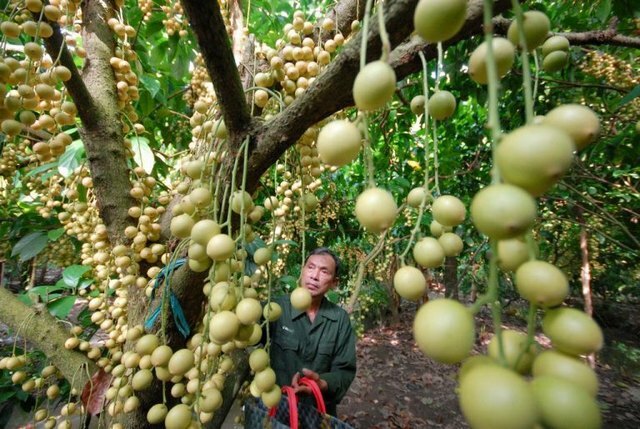 If you have more time, you can visit other areas like Tra Su mangroves forest, Vinh Long, Ben Tre. 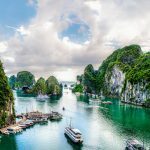 When traveling to Can Tho you should bring some personal items such as sunscreen, sun glasses, hats, umbrella because the weather here is sunny; and especially if you travel in the flood season is rainy season, it often suddenly rain so you should carry a small umbrella so that you can take initiative. 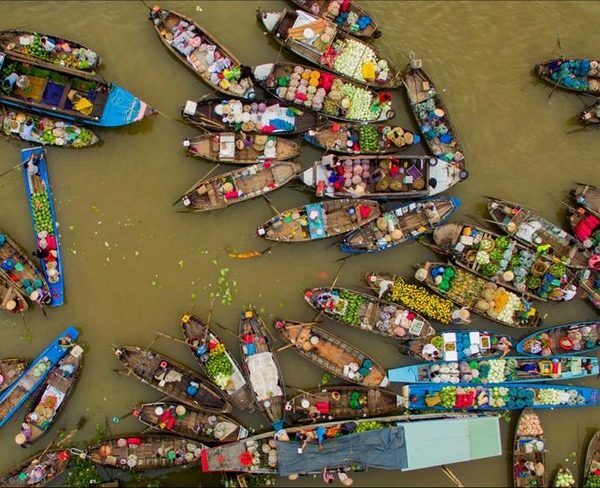 Can Tho is famous for its hospitality, but sometimes, tourists are made you pay too much money (very high prices) when buying something, especially when you visit floating markets on holiday season. On holiday occasion when the number of tourists rises up, the price of renting boat will increase 3 times. So if you would like to have a happy trip then you should avoid the holidays. If you have to travel in high season, you should book the boat before or asking price before hiring. If you have relatives, you should ask them rent boat for you. 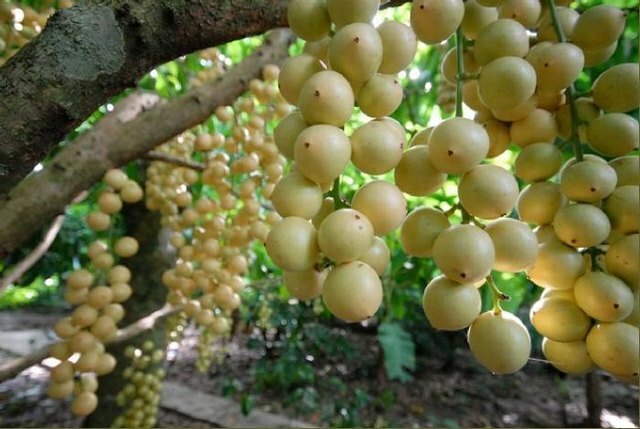 In general, Can Tho tourism is still very good, you will be met gentle and honest Can Tho people; admire the rustic beauty but romantic and attractive.